It’s time to take a look at Nintendo’s latest mobile adventure. Just like Pokemon Go Nintendo seems to be here to provide the promotion while they handled every other aspect of the game to a third party. It’s a good strategy since I’m sure it takes up less manpower this way and the third party has more experience with mobile titles. The game is well made and quite polished although it’s one that I won’t be sticking around for. It has its weaknesses, but as long as you have the time it makes for quite the investment. The plot is a little generic though as you are a prince who didn’t want to be King. Unfortunately all 7 of your brothers have turned evil and the same goes for your father The King. It’s hinted that they are being mind controlled but either way it is time for the main character to rise to the occasion. In this world all proper fighters need to have a dragon companion so his first order of business is to tame one. Now he has to go save the world, but can he do it? As this is a mobile game the answer to that question is likely a flat no. These games just never seem to end which is one of the main things that ends up deterring you from playing after a while. It’s all a matter of preference though. I typically play console games but those always have a start and an end. If I wasn’t a big console fan then I’d probably stick around for this one. As it is the only games I’m actively keeping up with are Dragon Ball Legends and Pokemon Go. That’s enough to keep me busy, but it’s always fun to at least check these other games out for a bit. The gameplay is an overhead real time combat system. You swing your sword by tapping the screen and you can use super attacks once you have charged up enough energy meter. There is also a separate energy meter for turning into a dragon. Turning into a dragon gives you a huge boost in health and attack power so I highly advise doing so. Each level is typically a short run where you beat up a bunch of enemies and then the boss room at the end of it. The fact that the levels are so short is definitely a good thing since it makes it very easy to play the game in batches. Of course it also highlights the fact that the story moves so slowly so that’s the only drawback. The graphics are very good. They wouldn’t look out of place in a home console title. The character designs are smooth and the colors are very vibrant. Likewise, the soundtrack is pretty solid as well. It’s very fast paced and makes the game feel energetic as well. These aspects of the game are just as well polished as the gameplay and keeps up the appearance that this could be a AAA title for the Switch. As for the replay value it’s basically infinite with everything going on here. New content is added all the time through online levels and new characters. As it is the actual story is quite long as well and with all of the bonus raids you can’t run out of things to do. You do have a stamina meter so you can’t play for too long in a row without breaks. While it is a lot more lenient than the Dragon Ball Legends one, it’s not quite as long as Fire Emblem Heroes. Still, it’s certainly enough energy for you to play for fairly long sessions. Honestly at this point I wish we could get a full Super Smash Bros gatcha game for mobile. See, the only reason I’m not sticking around with this one as long as I stuck around with Fire Emblem and Dragon Ball is because all of the characters are OCs and naturally I’m less invested in them. If the story was about Nintendo mascots I wouldn’t care that 90% of it is stalling for time and not going anywhere. It would still be priceless just to see the Super Smash characters interacting and everything. Hopefully one day we get that. Ironically I’d say that the mobile games that are less complex and complete tend to work better. I’m looking forward to the Mario Kart app and I’m sure I’ll stick with that one for a while. RWBY is also coming up although I don’t think that one will last. I can’t think of any other mobile games that are coming up soon, but I’m sure some will pop up. Those games seem very simple to the point of almost just being point and click. Even Dragon Ball Legends which has a lot going on seems simpler than Dragalia Lost. 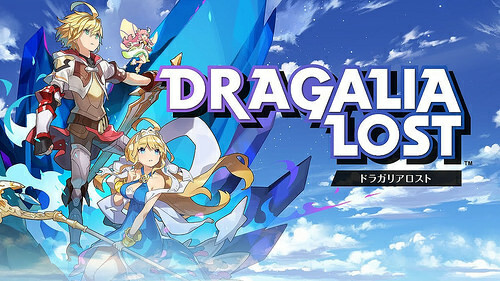 Dragalia is just a little too complex. If you want to actually get all of the mechanics in the game you’re going to need to dive into Reddit. Otherwise you’re gonna get hopelessly lost with the dozens of mechanics and such going on here. It’s all a little overwhelming. If you do decide to play this game, I highly recommend not spending any of your orbs and materials for the first few weeks of the game. Wait and see who you want to actually power up since these materials are often going to get scarce as the game goes on. 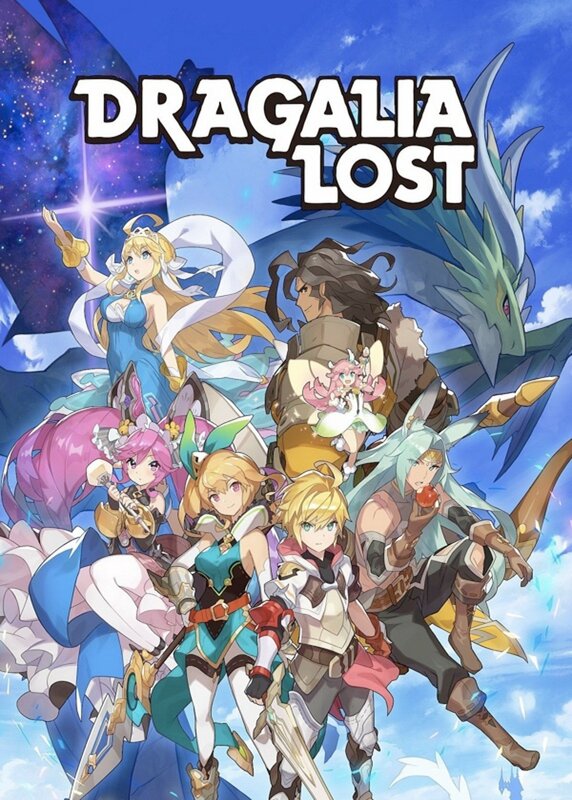 Overall, Dragalia Lost is a fun game. It’ll probably take a long while to get invested in the plot, but at the same time the game did launch with a ton of story levels to sift through so that’ll help. An impressive aspect is also that every single character has an individual story mode as well which consist of a few cutscenes. Since there are going to be hundreds of characters by the end of this that is a lot of content. I can’t stress enough that this is basically a full RPG on the phone. It’s probably the most convincing one I’ve seen since Sword Art Online Integral Factor. That one had the better plot, but this one has the better level designs and less filler.